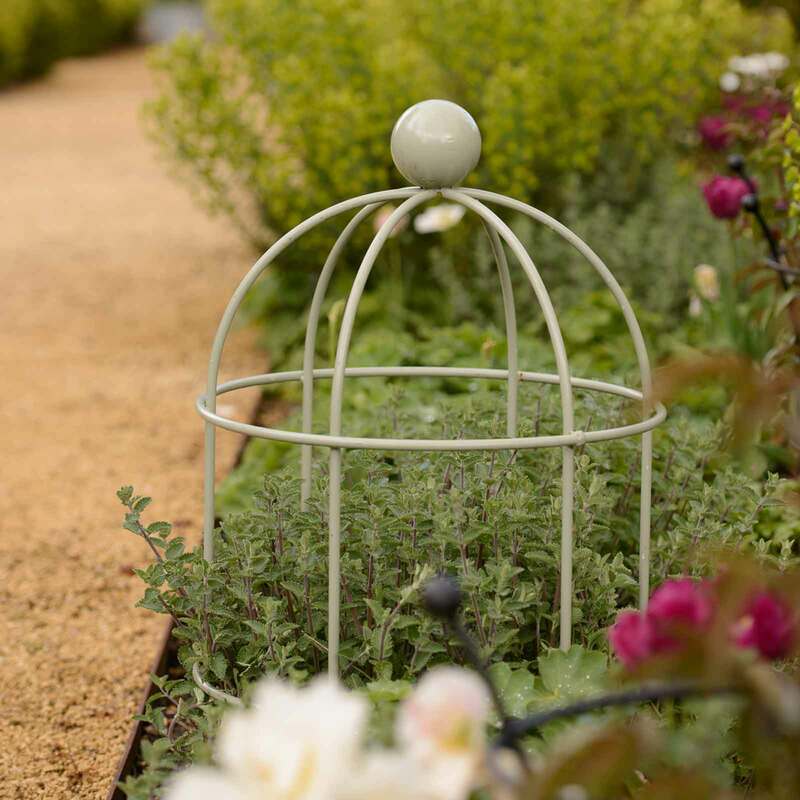 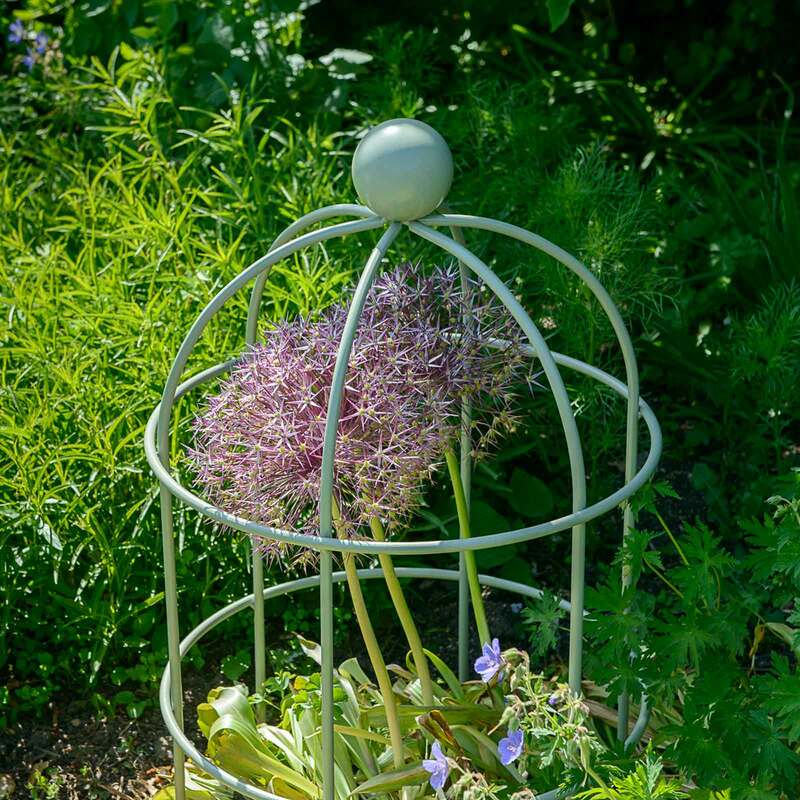 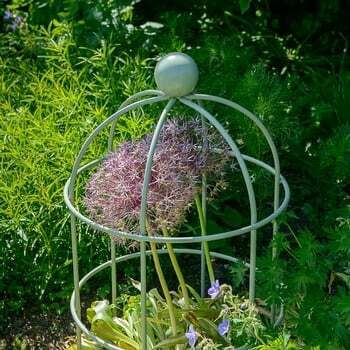 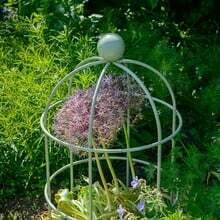 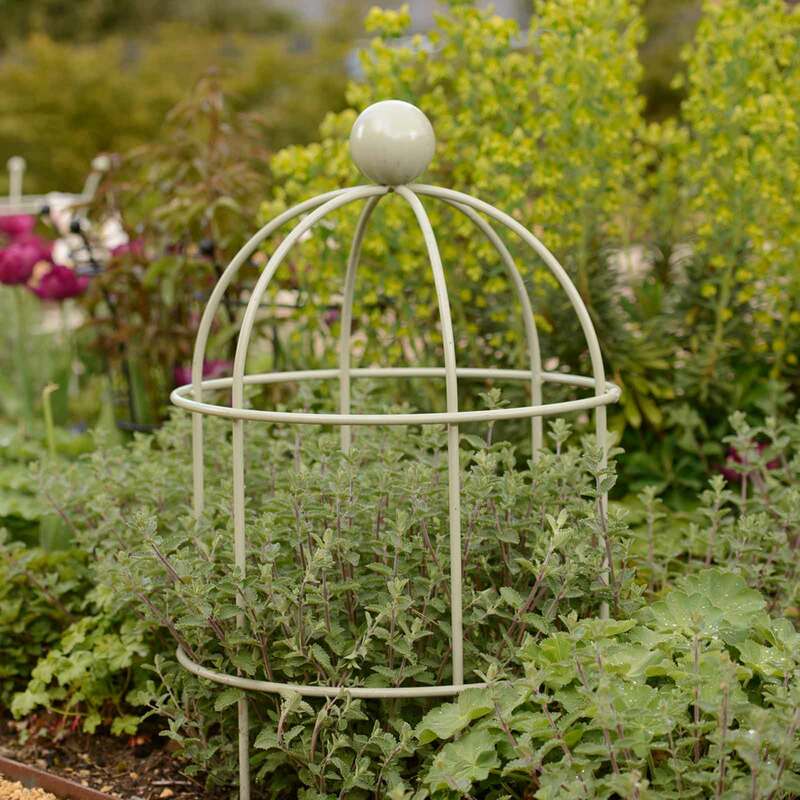 The Lichen Green Finish Lobster Pot Plant Supports are designed and manufactured by us in the UK, and are made using high quality and very strong 10mm diameter steel rod and are finished with a decorative ball finial. 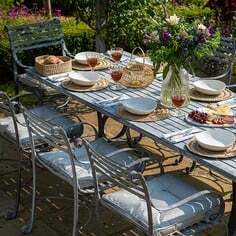 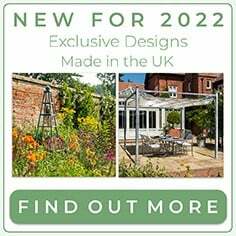 These attractive plant supports are made using galvanised steel rod which is high temperature powder coated in a stylish Lichen Green, for a long lasting weatherproof finish. 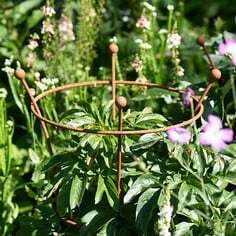 The Lobster Pots plant supports are available in 3 sizes, the small support measures 0.75m High x 0.47m diameter, the medium measures 0.93m High x 0.55m diameter and the large support measures 1.1m High x 0.65m diameter. 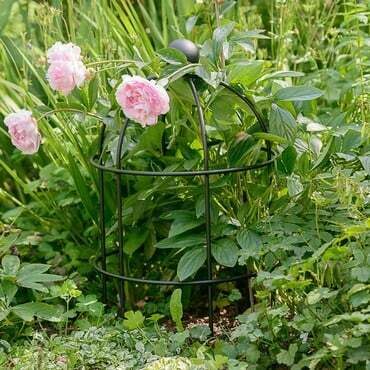 The supports can be pushed up to 17cm into the ground depending on the height of the plant being supported. 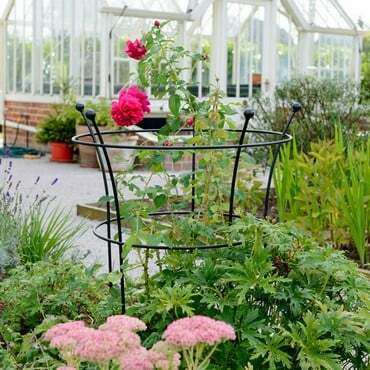 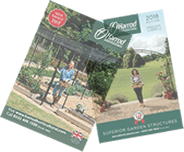 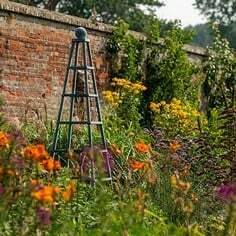 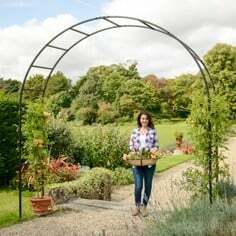 This traditional style grow-through plant support is ideal for supporting all types of large perennials such as peonies or dahlias and and can also be used in the vegetable garden for supporting plants such as dwarf beans. 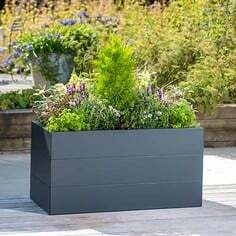 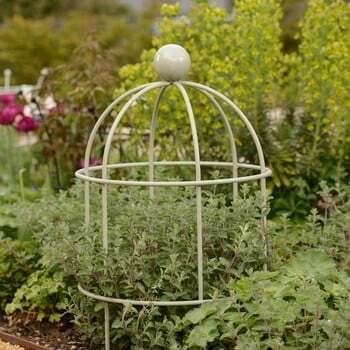 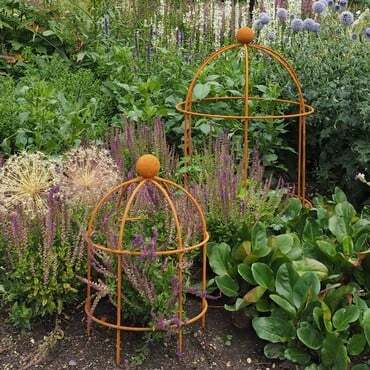 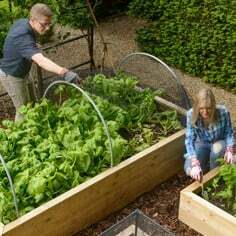 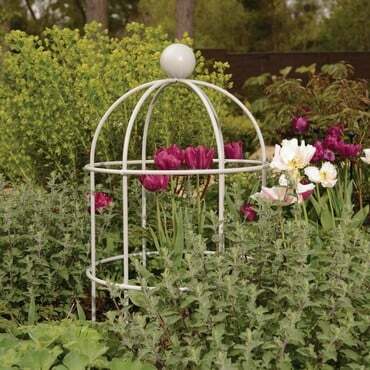 The Lobster pot shape will add interest to your borders in winter and can also be used as a cloche to protect delicate plants in colder weather by simply stuffing the framework with straw or covering with fleece.